Individualism, is it just a consolation prize? 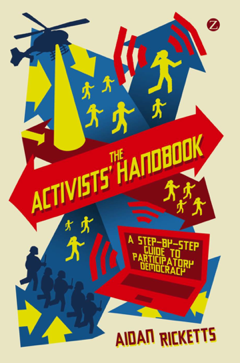 Study Activism and count it toward your degree! For sale: your right to protest. Compensation for democracy? No way! Preference whispering or vote scamming? The people stopped the Gasfields, the government failed us. Gasfields still threaten most of the region, how will you vote? Hypocrisy the greatest luxury? Don’t buy the hype! What part of ‘consult’ does Metgasco not understand? Bentley and social movements: an interview on BayFM. Community declares itself Gasfield Free! Exporting a piece of Northern Rivers activism to the world. Empowerment and Personal Sustainability – avoiding burnout and keeping your group afloat. What is so different about the CSG- free campaign? Teaching constitutional law to Fiji students: law order and the rule of what?